John and Ted Nash are the Nash Team. They grew up in Wilmette where their dad had a real estate office and sold North Shore homes for over 50 years. 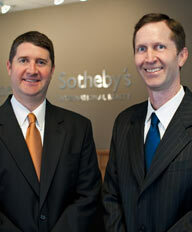 They each have over 25 years experience selling homes and have sold over 1000 of them. John is a veteran and University of Notre Dame graduate. Ted graduated from the University of Kansas. They have the experience and dedication to ensure your transaction is smooth and rewarding. Call today to see how this unmatched team can assist you.